Yet another budget device from Indian manufacturer Micromax hits market. It’s the YU Yureka (YU is the associate brand) playing through Cyanogen software. There are many attention dragging factors associated with it like revamped hardware and connectivity options. Perfectly understanding the Indian mindset the product has been tagged at a price of just Rs. 8,999. It packs a good design along shiny black plastic front panel. The Capacitive touch key arrangements offer great experience for the users. As referred ‘Moonstone Grey’ the design basically understood having curvy edge. Both main end camera and LED flash are at the back towards left. The device boasts a 5.5 inches IPS HD display with 720 x 180 pixels resolution. However, it’s not a Full HD that ensures some compromise in terms of pixel density. There is Gorilla Glass 3 available with the display as the protective measure against scratches. It has the Oleo phobic coat that prohibits smudge. 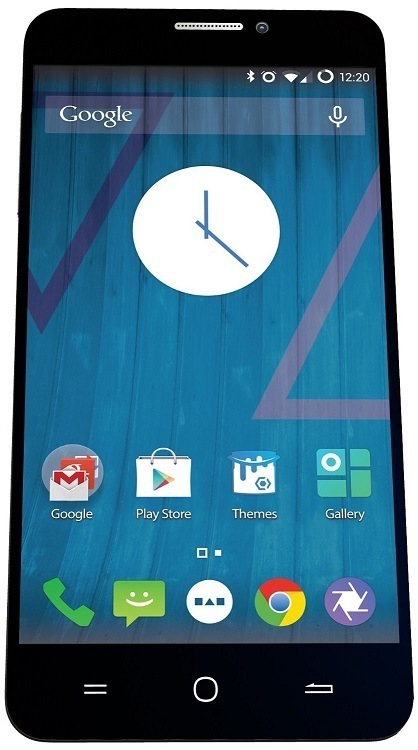 As we have mentioned, this YU Yureka plays through Cyanogen OS 11, an edition of Android Kit Kat mad by Cyanogen. The best part about this new trial is its interface, which is quite satisfactory. Anyway, the customization can be handled through themes as well. Great to see is the default theme getting a revamp this time. This time the users can experience high-end customization option that allows changes in lock display, notification front, the way a user wishes. There is option of shortcut to setting zone just stretching the right edge. It takes care perfectly about the protective measures with the specs like Privacy Guard that enables you to prohibit applications from channelling any secret data. Whisper Push is a great option available for safe messaging. The Phone application lets you with the option to block targeted contacts. Apart from this, it has AudioFX app that has equaliser arrangement for device’s speaker. For the photography freaks, there is a 13 MP camera at the main end with EXMOR CMOS sensor (f2.2 aperture). In addition, there is a 5 MP front facing snapping option available that can shoot videos at 1080p. Interestingly, there is option to shoot videos in slow motion at 60 fps, and buzz is that a upgrade will make the capacity of slow motion shoot to 120 fps as well. The CyanogenMod camera application offers setting options for aspects like size, focus patterns, etc. There is HDR, Panorama, Burst and HDR mode available with it as well. The device performs through the 64 bit Qualcomm Snapdragon 615 eight-core processor clocked at 1.5 GHz. For the gaming bugs, there is the Adreno 405 graphics unit mated with 2 GB DDR3 RAM available. Good news is that now you can enjoy 4G support. Buzz is that the users will be getting Android Lollipop upgrade soon. There is GPS and A-GPS available for smooth navigation and mapping. The dual SIM device gets powered by 2500 mAh batteries that can support about 2 hours full fetched usage with the device. The highlighting factor for the device is the 4G connectivity option at a budget below Rs. 10k. This is the distinguishing factor that distinguishes it from earlier budget friendly products from the manufacturer especially in Indian scenarios. Author: Evelyn is a gadget freak. She finds her blog as the best place to share her views. Anyway, blogs apart she is pretty sportive as well. You can find her sharing her articles at essayjedi.com.